A total of 250 players from North Eastern States have participated in this prestigious championship. The 19thedition of North Eastern States FIDE Rating Chess Championship 2019 has started here at Sikkim Manipal Institute of Medical Sciences auditorium in 5thMile Tadong on Tuesday. A total of 250 players from North Eastern States have participated in this prestigious championship. The six-day long championship is being organized by Sikkim Chess Association [SCA] under the aegis of All India Chess Federation [AICF]. The inaugural function of the championship has Upper Tadong Area MLA, Timothy William Basnett as the chief guest. He was accompanied by Sikkim Olympic Association president, BK Roka along with general secretary, Bharat Singh Chauhan and joint secretary, Atanu Lahiri from AICF among other dignitaries. In his inaugural address, the chief guest expressed his best wishes to all participants in the championship. He encouraged players from Sikkim to give their best to keep the name of the State on the top. He further urged them to continue with their hardwork and practice to play in the national and international level competitions. AICF general secretary stated that AICF has been committed to the development of the chess in the region. He informed to soon start the Smart Girl Chess Tournament. He also suggested SCA to come forward in organizing the national and international chess tournament in the state. The inaugural function was followed by the commencement of game in the championship. The championship will be played on Swiss League System of 10 rounds. The championship carries the total cash prizes of Rs 1.5 lakhs, which is being sponsored by All India Chess Federation. The championship has Dharmendra Kumar as the chief arbiter. The prize distribution ceremony of the championship will be held on 03 February. Speaking to media persons, SCA general secretary, Mahendra Dhakal stated that SCA was hosting this prestigious championship for the second time in Sikkim and the first time it was held in 2012. 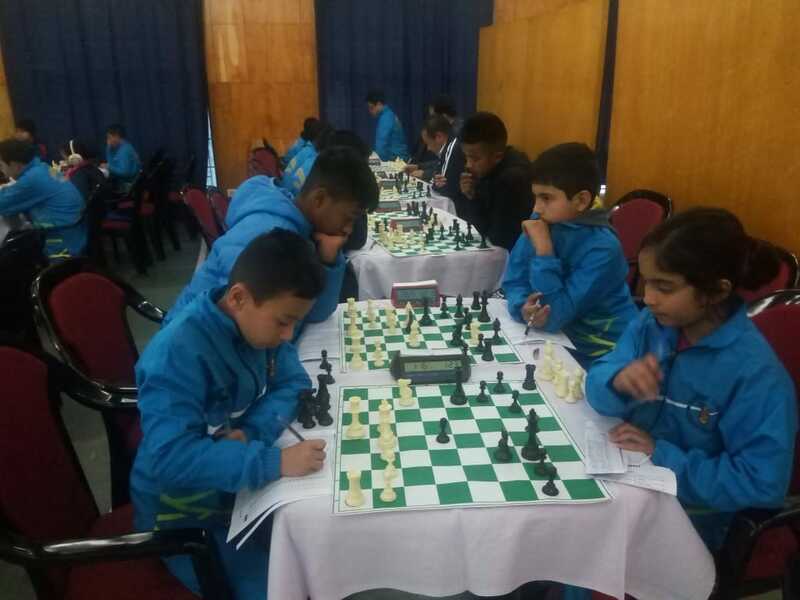 He expressed that such championship in the State would motivate young children in the game of chess and would help to bring out more national and international players from Sikkim. Dhakal informed that the tournament has registered 250 players from all north-eastern states. He added that the championship has witnessed the participation of players from age group of 7 years to 80 years. Sikkim has the largest contingent of 110 players followed by Assam of more than 50 players in the championship. Rahul Gurung from Sikkim is the current North East Champion.